CRISPR or Clustered Regularly Interspaced Short Palindromic Repeats has been getting a lot of attention recently. The power of CRISPR allows for a number of different and exciting things to happen; this includes genetic engineering to biomedicine. The power of CRISPR can allow for us to disable or correct genes for certain diseases and disorders from ever appearing in someone, although complicated, it is a very promising technique which can be used in multiple beneficial ways. The recent YouTube video by Kurzgesagt explains CRISPR and some of it’s history, as well as the power it holds in improving life for the future. The video above describes CRISPR and it’s benefits. However, with techniques like these, there is always a problem in terms of it’s effectiveness as well as the law, rules and ethics involved in utilising the technique in a useful way. Nevertheless, with any such techniques, there are many more positives compared to negatives, therefore as time goes on, and as more tests and research is done, I believe the technique will be the key within genetic engineering. So what are your thoughts on CRISPR and it’s future? Go ahead and comment, lets chat. Have you ever wondered how we as humans work? How we feel, taste, see, hear or even smell? Well, there are some great resources available to read which are just a Google search away. If however, you wanted a couple of videos which can explain and get you up to speed on how we as humans we interact with our surroundings, then 5 videos below will definitely be of help. The videos below cover all the five major senses of sight, sound, smell, taste and touch. They were produced by Neuro Transmissions/Alie Astrocyte. If you’ve wondered how we see, Alie explains everything involved in the visual system as well as how information that comes from light is translated into something useful using your brain. A very informative video explained by Alie on how our ears translates all sound in our surrounding and how we use it in everything that we do. Scent is very important, it allows us to distinguish between different things even when we’re blindfolded. Alie explains everything about smell and the nitty gritty of how it related to neuroscience. Taste, one of the major sensory functions in our body, it allows us to distinguish between something that tastes totally disgusting to something nice like ice cream. Alie explains everything from the amazing receptors and how they can detect taste. Fantastic video which covers everything from touch to feel. Touch is a very important factor, it is what keeps is safe from harm such as something that may be too cold or too hot. Alie cover it all in this great video. After watching the above videos, I learned a lot, especially how the five senses all related greatly to neuroscience, on top of which the videos are very well done and very informative. If you feel like you’ve learnt a thing a two, tell us in the comment section. Be sure to subscribe to the Neuro Transmissions YouTube channels if you want to see more amazing science videos. So you know, I’m not associated with the channel or person, I liked the videos and the wealth of information they provide, so felt like sharing these. Podcasts are great, they provide a lot of great information to the listener. Depending on what you listen to, there is always something available for everyone. I’ve recently really got into listening to them, from science based ones to others which tickle my fancy. Science-based podcasts are amazing, they provide me with information on the latest information regarding scientific discoveries to bleeding-edge work on the work I’m interested into. Here I’ll be listing a few that I listen to, or have recently discovered and find to be amazing worth sharing. 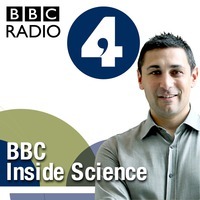 I have actually been listening to BBC Inside Science for a while now, Dr Adam Rutherford and guests are amazing at telling the listeners all the latest mysteries, challenges and controversies that surrounds science that’s changing in our world. Every episode is around 30 minutes, which is fully packed with information that the listeners cares about. If you are into science, and the latest information that surrounds the world of science, then you will definitely like this podcast. BBC Inside Science’s latest episode covers “Genetics and education, Eyam plague, Pint of science, Labradors and chocolate”, if you’d like to listen to it, go ahead by clicking here. The Science Hour by the BBC is another great example of a podcast which highlights science, health and technology news of the week. If you are like me, then getting a curated piece of information right in front of you is something that is great, this podcast does this. 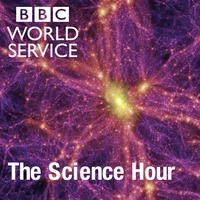 Like the Inside Science above, this is a weekly podcast which is a great example which I listen to very often. Science Hour has a large number of episodes, it’s latest episode covers “Genetics and Educational Attainment”, if you’d like to listen to it, click here. Another from the BBC see’s Roland Pease and guests discussing the latest science research and news stories from all over the world. Many of the episodes are rich and packed with information about all things science. Science In Action covers all the recent outbreaks and news, such as the Zika Virus and so on. Science In Action, like many other podcasts, tries it’s best to keep on track with the latest science as well as bringing in a range of great guests. Science In Action covers a vast variety of topics, it’s latest podcast episode covers “Arctic Warming Could Be Changing Bird’s Shape”, which can be listened here. These three podcasts from the BBC will usually cover all that I require, but there are many more different types of podcasts which covers many different topics. For example, Niel deGrasse Tyson’s StarTalk Radio covers all things about science, comedy and pop culture. 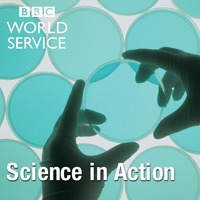 Discovery from the BBC World Service covers the world of science in half-hour episodes too. Another is the BBC Radio 4’s The Infinite Monkey Cage which is run by Brian Cox and Robin Ince in a witty, irreverent look at the world through scientists’ eyes. The Guardian’s Science Weekly is another fantastic podcast which covers everything with analysis and interviews from individuals in science and technology. One which I have heard quite a lot about is Nature Podcast. If you are a scientist, then you must have heard of Nature, one of the biggest and long running journals covering everything from astronomy to neuroscience. I’ve not had the pleasure of listening to the episodes, but it’s on my que to listen to. Similar to Nature Podcast, I’ve also not had the chance to listen to a couple but have heard a lot of good things about them. This includes, TEDTalks Science and Medicine, which discusses everything in these topics. Science Friday (SciFri) covers everything from outer space to the tiniest of microbes. With such an extensive list of amazing podcasts to listen to, it can take some time to listen to them all. I use the app PocketCasts which is available on the web, Android devices and Apple devices. If you have a favourite podcast that you listen to, or one that I’ve mentioned and you’d like to talk about. Go on, comment down below and let’s talk. Who doesn’t love a good jawbreaker, I certainly do. With an increase in size of such a hard sweet, getting through it into the middle can be a hard task. Even with an increase in temperature it can be a hard task. Here is a interesting video putting molten copper on top of a large jawbreaker. After pouring molten scrap copper onto a 1 pound jawbreaker, the layers begin to peel and melt forming a black liquid, consisting of flavouring and sugars, surrounds the jawbreaker as it continues to burn. Definitely an interesting and sweet video. Be sure to share it with people who will enjoy watching it.